I'm currently chatting away while lying in bed across the way from Sew Busy Lizzy. It's hard to believe frocktails is finally here! Nicole, myself and Rachel flew in yesterday and had a great time wandering around Surry hills and china town. 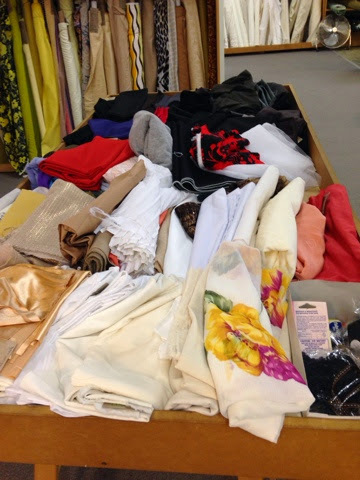 We visited the fabric store and tessuti, both of which had their remnant tables/bins plundered by myself and Liz. Sorry, not sorry to the ladies going shopping there today! And we're off to visit some more fabric shops of Sydney! For those lucky ladies going to frocktails tonight remember it's 6pm for 6.30 start at China Republic. In advance I just want to thank everyone for coming and hope that we all have an amazing time!